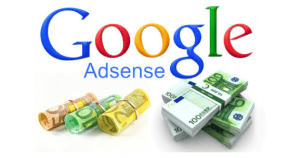 I’ll start by giving you a juicy tip that could easily increase the money you get per click from Google Adsense. An ever increasing amount of traffic comes from mobile. Most sites now use a “responsive theme”, or in other words, when the page is reduced to the size that fits on a mobile screen, the formatting changes. When you use a responsive theme, and then reduce the size of the page to fit on a mobile device, often columns are removed from the page. You’ll find that the sidebar typically will not even display when switched to a smaller sized viewing area. This can lead to some significant problems! Google allows up to three ads to be placed on your page. Placement of these ads are crucial. On your pages as seen through a laptop or desktop computer, you want ads to be placed where they are most likely to be seen. We will examine a heat-map model, where people typically look as they interact with a page, to find the best location to place your ads. 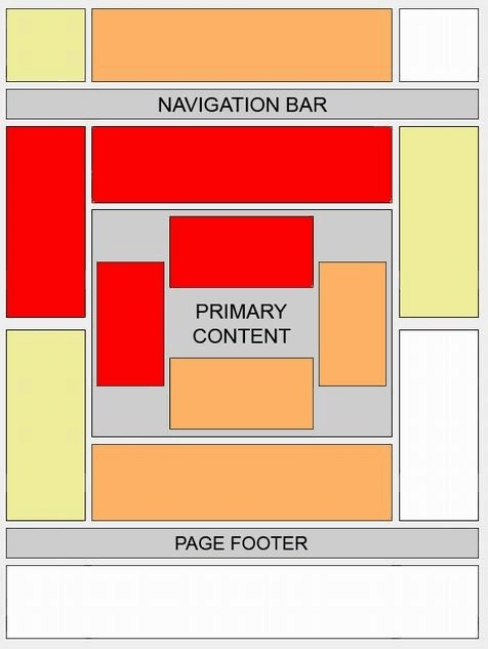 There is another concern, as the size of your page is reduced when transitioning to a mobile device, that many responsive themes completely remove various elements of your page design. A large sidebar, for instance, may be replaced by a drop-down navigation menu. 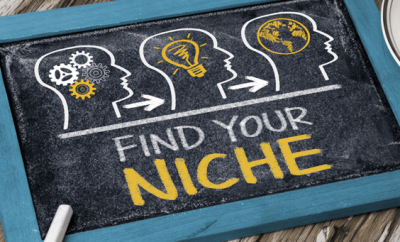 If that large sidebar happens to be where you placed your highest paying ad, you may well have thrown half of your site’s earning potential out the window! Google will typically put the highest paying ad on your page first. The next highest paying would be second, and then the third is usually the least paying ad. You can understand how this would be a problem, if the first ad you put on a page completely disappears when you reduce the page size to that of a mobile device. Following, we have a heatmap. The darker areas are the locations where eyes typically focus when viewing a website. Your goal will be to place your ads within the darker areas. My favorite place to put ads is typically a banner ad on top of the content, but below the navigation menu – then I will place two more ads, typically after paragraph two and after paragraph 4, located within the content itself. That would be my preference for Adsense ads, while other darker heat-map areas may be used for generalized (non-Adsense) ads that are geared towards the niche of the site. They may contain a call to action for signing up with their email (because building a targeted email list is a very profitable thing to do). 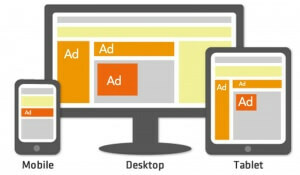 How many ads should you display? Again, the most profitable ad be the first placed ad, and then it will go down from there. It is important, therefore, that this first ad placement doesn’t end up in one of the least-looked places. Just above, or within the first two paragraphs of your actual content is always a safe placement. Another thing to slightly be concerned with is the setup of your HTML code. Cascading style sheets (.css) files allow your HTML code to sometimes have a different order than what is actually shown on your page. It is possible, for instance, that your right sidebar column is defined in your code above your left column – even though it would seem intuitive that the left column should be first in your code. The reason this matters is – if your first ad is the highest paid ad, what constitutes as “the first ad”, the one you see on the page, or the one that is highest placed in your HTML? Normally, you won’t have a problem with this – but if you have a site that, for some odd reason, isn’t as profitable as you would like it to be, this is a trouble-shooting item to consider. Now that we’ve gotten the placement of your ads out of the way, let’s focus on things you can do to increase the profit you make from Adsense. 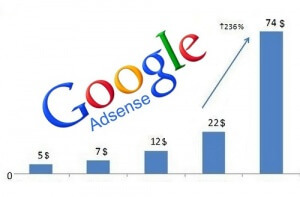 There are a number of common sense things you can do to make more money with Google. Following are many tips to get you going in the right direction. Better content will give you better profit per click. It all boils down to the quality of your article. 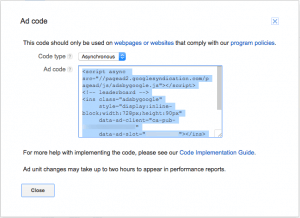 Google takes a hint by the actual content that is on your page, but it also performs split testing to find the ads that perform best on your page. For this reason, you’ll find that your site’s profitability will increase over time. The reason is that Google, when it first discovers a page, hasn’t yet determined which ad is the most profitable for it yet. You can help it along by writing about lucrative topics in the first place. Consider a page that is about weight loss. This, of course, can be a very high paying niche. If the source of your site’s traffic is laser-targeted to people who wish to lose weight, chances are you will do very well and get extremely good costs per click. However, let’s say that the source of your traffic is not high quality. If you buy low quality traffic to the page – and people arrive there not expecting to learn about weight-loss ideas, that group won’t be clicking ads as often, and those who do click won’t be converting for Google’s advertisers. As a result, your cost per click will diminish – as Google does more than simply look at your content to determine how much you should get paid per click. Quality, converting traffic is the key to higher CPC profits. 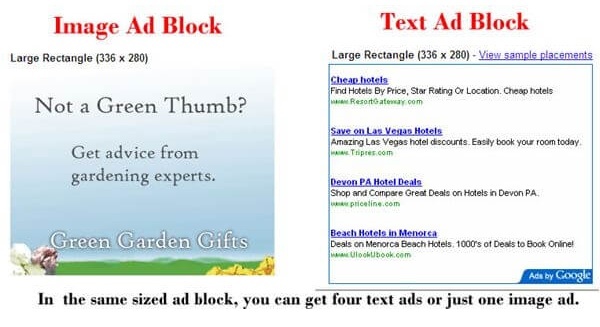 Google’s Adsense has an ad-block where it can dynamically decide which ad type is best placed on your page, be it banner or text ads. It is best to allow Google to determine the best for your page. We often have preconceived ideas of what type of ad is best. I know that, for the most part, I am “blind” to banner ads, yet I tend to notice link ads more. Google is interested in making the most profit. They do split testing over time, to determine which ad type is best for your page. Therefore, it is a good idea to let Google do it’s thing, select the banner-or-text option and let them decide which is the best for your site. The next article in our site monetization series will cover many various methods of monetizing your site. 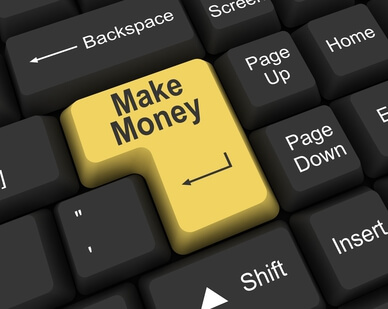 Perhaps you’ll discover a new method that will unleash your site’s true money-making potential. Continue reading for more profitable ideas.